This is my HFC Horizon laminate review based on my experience from installing this particular product for my client. 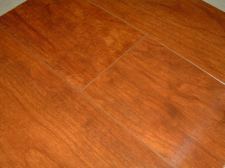 My client purchased this laminate at Flooring America for 2.75 per square foot. The color is Williamsburg Cherry as seen in this photo, notice the beveled edges. Click on photo below to get a closer look. This Horizon laminate has the padding attached to the back. 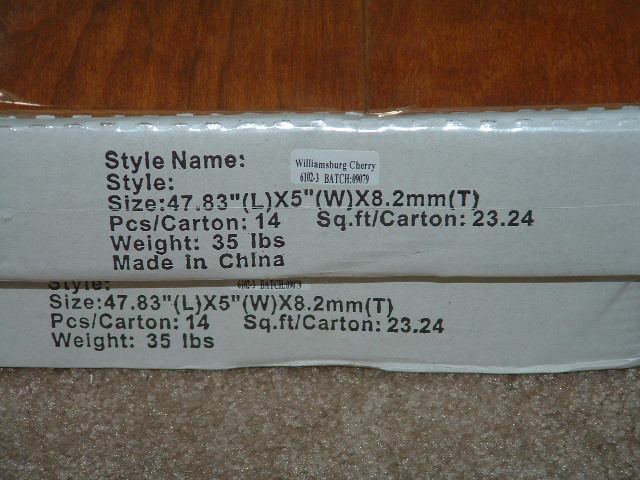 The thickness is marked on the box as 8.2 mm, it does not specify if this is the total thickness with the pad, or if it is just the thickness of the board. It has a high gloss piano finish. The surface appears to be very durable as I noticed when I tried to scratch it with a key. 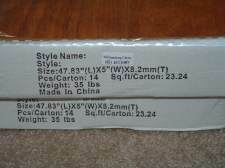 I didn't find any damaged planks in the boxes as the core material is strong. It has a limited warranty for 20 years. The size of the planks are 47.83 long X 5 inches wide. 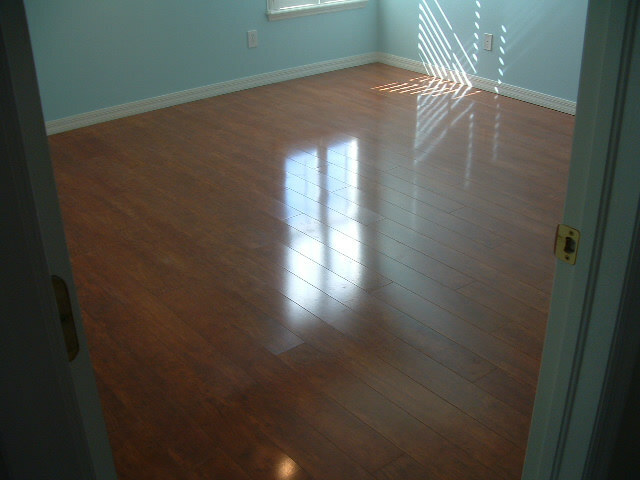 All 4 edges are beveled which gives the floor a look of real hardwood flooring. The locking system is very installer friendly. 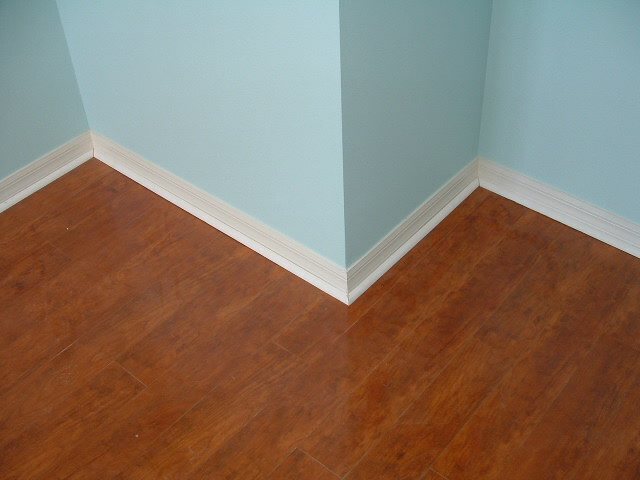 It allows the planks to be joined together laying flat on the floor and tapped together. 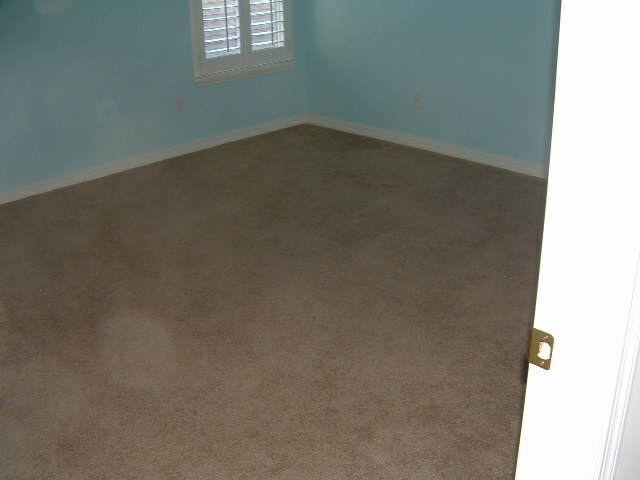 I was very pleased with the product when installing it and the finished appearance. 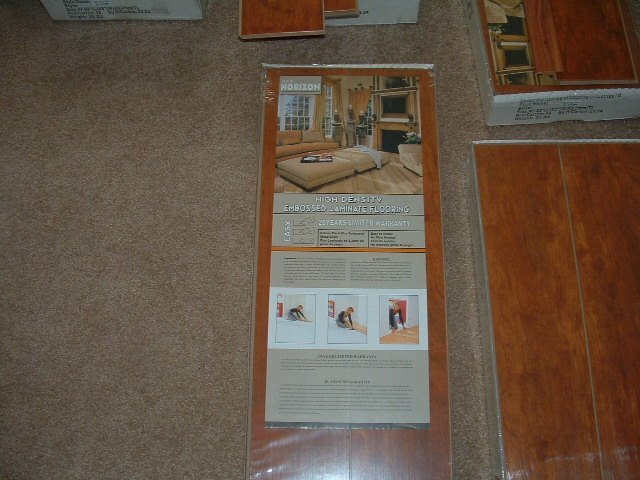 I would highly recommend this product to my readers for the quality, the ease for installation and the durable finish. The only down side I could see is the price is a little high. I am comparing this to prices on the internet which can be less expensive for a thicker product. 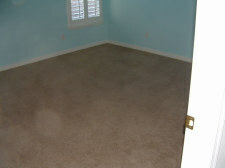 Before and after photos of this installation. It can be amazing the difference a new laminate floor can make. All this done in one day.